Fairfax, VA – August 31, 2018 – Irizar S. Coop, a luxury motorcoach manufacturer with global headquarters in Spain’s Basque Country, introduced itself to the United States market in early 2016 through initial distributor INA Bus Sales, LLC, a Trailways affiliated partner. Irizar’s i6 model motorcoaches have enjoyed such rapid market penetration here that Irizar S. Coop is reinforcing its commitment to the U.S. market by establishing a new wholly owned and operated subsidiary, Irizar USA, LLC, headquartered in suburban Las Vegas, NV. Irizar USA takes over the role of Irizar’s exclusive dealer and distributor for sales and aftersales support for the U.S. marketplace. “We congratulate Irizar USA as our Trailways affiliated partner and hope that this new company will enjoy the longevity of its 129-year-old parent corporation, known for its premium brand,” said Eva Hotard, president and chief executive officer of Trailways Transportation System, Inc. Heading Irizar USA’s leadership team are President Axier Etxezarreta, previously director general of Irizar Brasil, Ltda., and Vice President Chad Dixon, formerly chief operating officer at INA Bus Sales. Dixon explained that Irizar USA offers two versions of the Irizar i6 model coach adapted specifically for the U.S. market. A versatile, commuter and touring coach suitable for school, charter, motorcoach and mining transportation, the Irizar i6 is 45 feet long and can accommodate 56 passengers. It has an integral chassis; a Cummins engine; a 6-speed, Allison B500 automatic transmission, and complies with all U.S. Department of Transportation (USDOT) regulations and EPA 13 emissions requirements. It comes in two vehicle heights, 12’3” and the SuperCargo model at 12’11”. “The SuperCargo version offers best-in-class storage capacity,” Dixon added. Trailways through its Affiliated Partners Program maintains a close working relationship with industry-related supplier and vendor companies, as well as other tour and travel service entities, to ensure that its group of motorcoach companies receives the latest and most effective technology, information, services and products needed to maintain superior delivery of safe, comfortable, reliable passenger service. Fairfax, VA – August 31, 2018 – CWTSatoTravel, a division of Carlson Wagonlit Travel, has joined the Trailways Transportation System, Inc., as a preferred affiliated partner. It has been the largest provider of global travel management and fulfillment services for the U.S. military and government agencies for nearly 70 years. “Our Trailways carriers take pride in transporting members of the military and civilians in government service. Affiliation between CWTSatoTravel and Trailways is a natural fit for both of us,” said Eva M. Hotard, Trailways President and Chief Executive Officer. The CWTSatoTravel Group Travel Services (GTS) team offers one-stop shopping for group travel procurement and coordination. Available 24 hours every day, the GTS team simplifies the process for motorcoach subscribers submitting offers of service to obtain military and civilian government business. According to Ronald Ivester, GTS Program Manager, Military and Government Markets, “The GTS online travel tool enables us or our client travel management officers to competitively procure, to track and monitor their motorcoach charters. The tool also provides motorcoach subscribers with access to receive charter requests, input offers of service, track and monitor bids and receive market intelligence reports, all without start-up fees.” Motorcoach carriers receive requests specifically for their defined service areas. The process is automated from request to award and includes monitoring of all awarded moves until their final destination. The GTS team also assists with coordinating the payment process. Other departments within CWTSatoTravel offer additional travel and transportation-related services and resources, from negotiating hotel rates to planning vacations and meetings to providing online booking and travel and expense management solutions. Founded in 1936, Trailways Transportation System, Inc., is a network of approximately 65 independently owned and/or operated bus and motorcoach company locations in North America and parts of Europe. Each company adheres to the standards required by the U.S. Department of Transportation. Through its Affiliated Partner Program, Trailways enables suppliers and travel partners to network with its company owners and other top decision makers, for their mutual benefit. 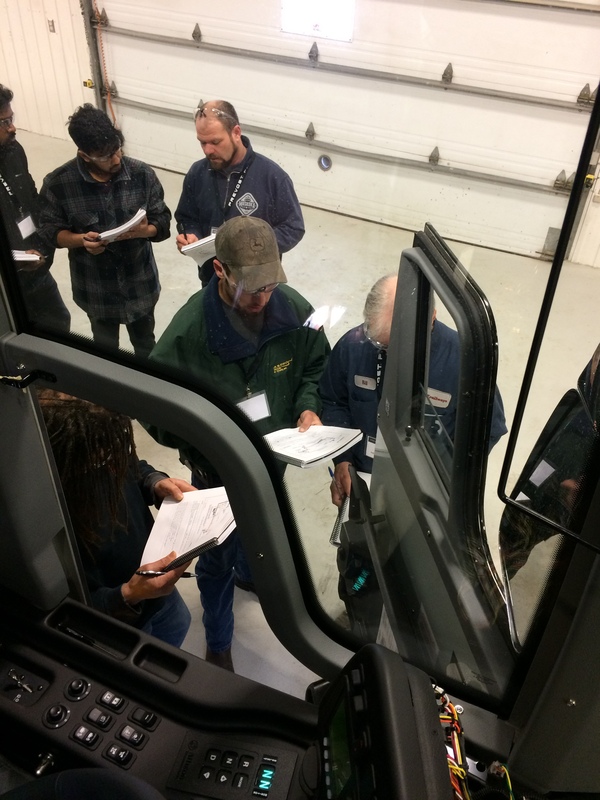 Training covers Prevost Electrical and Green House Gas 2017 (GHG17); addresses changes to the vehicle that include Emissions, Electrical Architecture and the Electric Fan Drive.